A controversial pipeline that would transport upwards of 830,000 barrels of crude oil from Alberta, Canada to refineries on the U.S. Gulf Coast has hit a major road block. 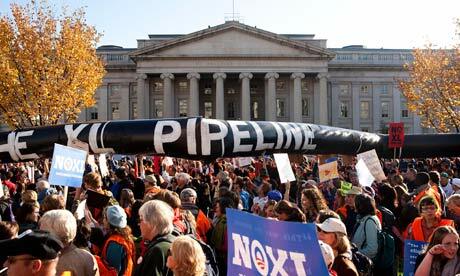 A decision on the 2,700 kilometre Keystone XL oil sands pipeline was delayed by the State Department late last week in a decision by President Obama. 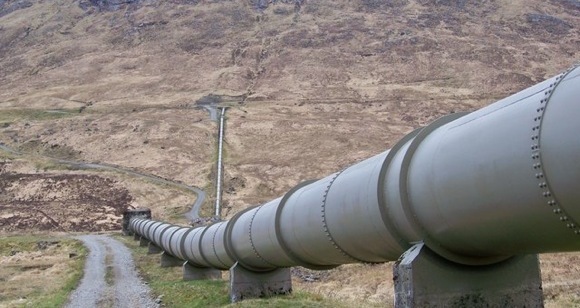 Proponents of the pipeline believe that it represents a crucial step toward the U.S. relinquishing its dependence on foreign sources of oil. Moreover, the Canadian government has been pushing the pipeline as a source of ethical oil, arguing that Canada is a stable and democratic country, far removed from the political uncertainty and illiberal practices of other oil producing nations like Saudi Arabia and Venezuela. These arguments don’t include the considerable economic benefits to Canada and the U.S. that the pipeline will provide during these difficult economic times. Opponents believe that the economic benefits of the pipeline do not outweigh the substantial danger posed to the environment. The proposed route would have run through the environmentally sensitive Sand Hills region and the Ogallala aquifer in Nebraska. Many also argue that the pipeline only further entrenches the continent’s dependence on oil as the major source of energy. Production of oil in the Alberta oil sands is also recognized as a particularly harmful method of oil extraction, with a substantially higher impact on climate change. While getting ‘shovels in the ground’ is very important in these difficult economic times, lambasting the other side as lacking common sense is not going to preserve our common future. Serious criticism has been levelled against the arguments put forward by the pro-Keystone camp. As with everything in life, Keystone XL has economical and political, as well as ethical, components. First, economical. While pro-Keystoner’s are busily throwing around numbers – such as billions of dollars in economic activity that the pipeline is supposed to manufacture – others are suggesting that the economic activity will not reach a wide-range of pockets. That is, unless you’re invested in U.S. Gulf Coast refineries or Canadian oil sands producers. The Globe and Mail reports that Dave Cole, the president of the Communications, Energy and Paperworkers Union of Canada, believes Keystone XL actually makes bad economic sense for Canada. Although the pipeline would be exporting bitumen extracted in Canada, his workers do the job of upgrading the bitumen in Canada before it becomes oil. If the pipeline goes through, upgrading of the bitumen will be done in the U.S. rather than in Canada. The Americans will get the jobs, says Cole, and Canadians will get the pollution. The pipeline “would also bring more than $20-billion in new construction related spending to the U.S. economy,” argues Natural Resources Minister Joe Oliver, “and create 20,000 well-paid construction and manufacturing jobs.” But Mr. Cole says that once the pipeline is constructed it will take just 30 people to keep it running. Politically, Canadian government and oil industry officials and the U.S. State Department have been aggressively pushing the energy security benefits of Keystone XL, but the premises behind their arguments are coming under growing scrutiny. And as with all things political, the issue remains economical. It has been brought to my attention that documents and testimony indicate that at least seven Canadian oil shippers have agreed to incur increased near-term shipping costs on the new pipeline in order to impact market supply in the existing markets so as to drive up the overall price of their product for U.S. refiners. According to TransCanada, the proposed Keystone XL pipeline can be used by Canadian shippers to add up to $4 billion to U.S. fuel costs. More disconcerting than the increase in gas prices for U.S. consumers is the detailed strategy outlined to investors by Valero, the largest Gulf Coast refinery lined up to receive oil through Keystone XL. Valero has purchased a refinery located in Wales in the United Kingdom. The company stated that it intends to import gasoline from this refinery into the United States while exporting diesel and other products from its Gulf Coast refineries. In short, Valero’s strategy is to exploit arbitrage in the Atlantic basin, selling gasoline into the U.S. market while exporting diesel to Europe and both diesel and gasoline into Latin America. Valero’s own statements in regulatory disclosure and presentations to investors, show that it plans to refine Canadian tar sands into fuels for export. Valero is already the largest exporter of petroleum products in the United States. In the first quarter of 2011, Valero exported 65,000 barrels per day of gasoline to Mexico and South America and 165,000 barrels per day of diesel exports to Europe and Latin America. By showing that oil transported on Keystone XL will likely be exported to third parties, the report presents a convincing position that highlights the illegitimacy of the energy security argument being put forward by the pro-Keystone camp. The global oil industry is just that, a global industry. To believe that international corporations would take national interest and diminished profits over maximum advantage of global oil markets is naive to say the least; to put forward the argument as legitimate in order to push through a controversial mega-project is unethical at best. 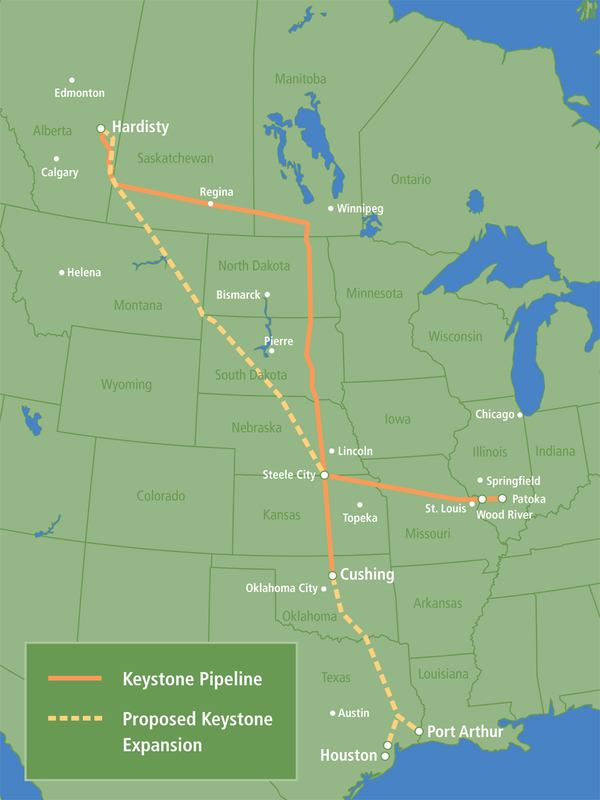 The third component of Keystone XL is ethical. In August, the State Department asserted that there was no evidence to suggest that Keystone XL would pose any risk to the environment. Recent allegations of a conflict of interest have brought under fire the process in which the environmental assessment was carried out. The pipeline company recommended the firm they wanted to review them, a firm that listed the pipeline company as one of their major clients. Perhaps—just perhaps—that explains why the review found that Keystone XL would have “limited adverse environmental impacts,” a finding somewhat at odds with the conclusion of 20 of the nation’s top scientists who wrote the president this summer to say it would be an environmental disaster. As it turns out, TransCanada recommended Cardno Entrix, the Houston-based environmental consulting firm that assessed the project, to the State Department, and also controlled the bidding process that ended up selecting the firm. Eyebrows were raised when it was noticed that Cardno Entrix lists TransCanada as one of their biggest clients, hardly the sign of impartiality one looks for in an environmental assessment. At Engineering News-Record, a site providing news and analysis on the construction industry, Richard Korman reports an expert on engineering ethics and environmental work as saying that Cardno Entrix should have refrained from taking the job in order to avoid any appearance of a conflict of interest. With so many concerns raised about the arguments presented by the pro-Keystone camp, it was likely a good decision by President Obama to delay the project and review the process that led to a positive environmental assessment. The delay could also lead the powers-that-be to decide whether the economic benefits will be widespread enough to overshadow all the health and environmental risks involved. If you like what you read, I welcome you to share, follow, or comment.